Downtown After 5, presented by Prestige Subaru, kicks on Friday, May 17 from 5-9:30pm on North Lexington Avenue in Downtown Asheville. This free summer concert series is the 3rd Friday of the month May through September. 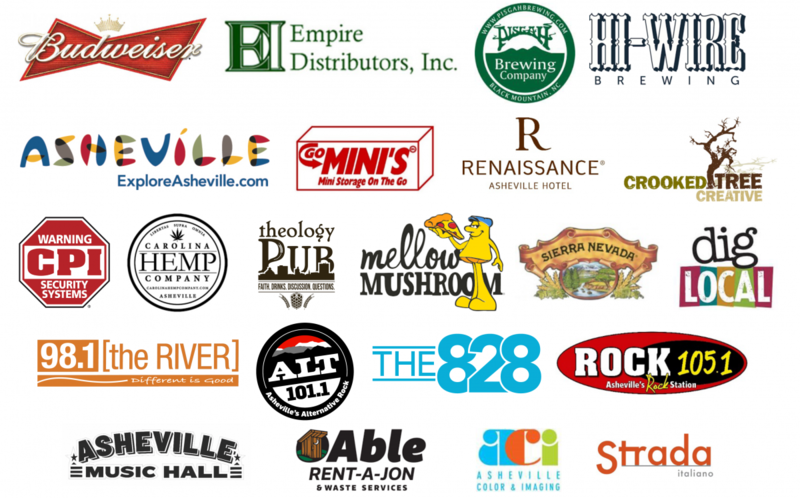 Each summer the Asheville Downtown Association partners with five local nonprofits to sell wristbands at the event. Each group receives a grant of $2000. The ADA has given more than $200,000 to area nonprofits through this program. 2019 partners are: Asheville GreenWorks, Children First, Food Connection, Open Hearts Center and REACH (a fund of Homeward Bound). May's partner is Asheville GreenWorks, enhancing the environment and quality of life for all residents of Asheville and Buncombe County through community-based, volunteer-led environmental conservation projects and education programs. Lots of local beers on tap including: Pisgah Brewing, Sierra Nevada, Hi-Wire Brewing, Asheville Brewing Company, Catawba Brewing, French Broad Brewing, Green Man Brewery and Bold Rock Cider, as well as beers from Western North Carolina and regional and national brands. Wine, soda, water and locally crafted Devil’s Foot beverages are also available for purchase. We're serving up plenty of local yumminess with food vendors: Delia’s Tea Time, D.O.G.S., El Kimchi, FroZen Monkey, Gypsy Queen Cuisine, Kernel Mike's Kettle Corn, Moe's Original BBQ and Sunshine Sammies.